Malaysian Le Cordon Bleu graduate Yong Voon Cheng (David) was thrilled to receive his Dux award for the Advanced Diploma of Hospitality Management. In an animated acceptance speech David said “attending culinary school at prestigious Le Cordon Bleu was by far the best decision I have ever made”. 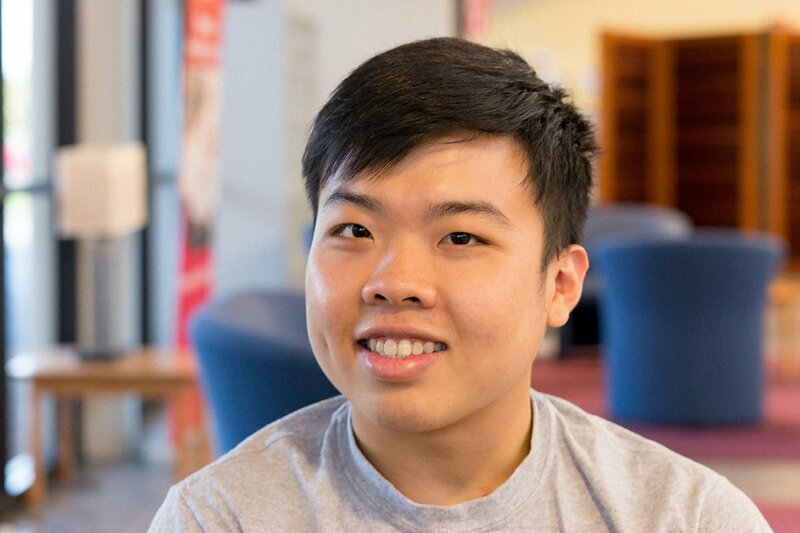 David came to Australia in 2013 to attend Adelaide University where he studied engineering. He had always wanted to be a chef, but his parents didn’t approve. After a year at university, he knew he needed to pursue his dream. Inspired by the following quote from Marco Pierre White, British chef and restaurateur, “If you have a dream, then you have a duty and a responsibility to yourself to make it come true” David started to look at his best options for entering the culinary world. He chose Le Cordon Bleu Australia after googling ‘the best cooking school in Australia’. When he started at Le Cordon Bleu in 2015, David’s mum made him sign a contract promising to complete his culinary training at Le Cordon Bleu. Having now graduated, David has fulfilled his promise to his parents. Today, David’s parents are thrilled with his choice to study at Le Cordon Bleu and proud of his achievements. His work placement (Work Integrated Learning) was at Crowne Hotel in Melbourne as a cook in the Kitchen Workshop Buffet restaurant. It was a busy environment managing a continuous workflow, preparing and topping up the buffet. He currently works at Andre's Cucina & Polenta Bar where he is thriving. A full time role is on the cards. He embraces the challenge of multi-tasking under pressure and prides himself on learning something new every day. David’s dream is to work for Noma, acclaimed two-Michelin star restaurant in Denmark. Head chef, René Redzep won the ‘Best Restaurant in the World’ four years consecutively. Redzep’s food is inspirational and according to David, “so gorgeous and delicate.” MasterChef and Chef’s Table also inspire, he loves watching the world’s best chefs introduce new techniques. In the short-term David plans to continue working, to develop his culinary skills and save money for travel. He wants to explore the world’s cuisine, especially in Europe and Asia, and get his black belt in Judo. His future plans involve further management training at Le Cordon Bleu, and running his own restaurant. His advice to young people is: “Be more confident, if you have a dream make it come true. When you meet difficulties, don’t give up... turn it around!” With his positive attitude and Le Cordon Bleu qualification, David is on his way to a great culinary adventure.